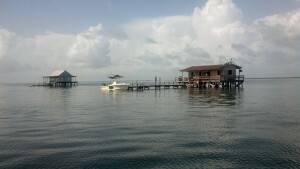 Many children in Charlotte County grow up fishing and boating. A few historic fish huts remain in Pine Island Sound. Charlotte Harbor and Gasparilla Sound include 750,000 acres of estuary — no wonder this area is known as a fisherman’s paradise! The state of Florida is the number one recreational fishing destination in the United States, and the Charlotte Harbor area is one of Florida’s favorite spots. The area is perhaps best known for its tarpon fishing, with the “World’s Richest Tarpon Tournament” taking place every summer at Boca Grande Pass. Anglers come from all over the country to vie for the tournament’s $250,000 in prize money. But besides tarpon, the area’s waterways are teeming with an abundance of game fish and food fish, including flounder, pompano, grouper, trout, bluefish, red snapper, mangrove snapper, sheepshead, kingfish, mackerel, redfish, and more. 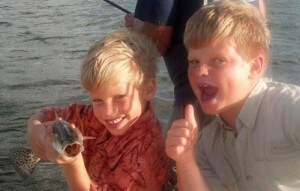 Kids of all ages enjoy a day on water with an expert fishing guide. Just south of Punta Gorda is the 395-acre Webb Lake, a man-made lake that provides great fishing grounds for largemouth bass, bluegill, snook, and more. 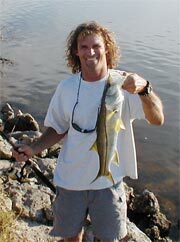 The Peace River, which flows 100 miles through central and southern Florida, is teeming with bass and snook. Bass and panfish occupy the Myakka River, which empties into Charlotte Harbor. Numerous public fishing piers are available, and fishing charter services are plentiful, so one doesn’t even need a boat to take advantage of the great fishing in this area. 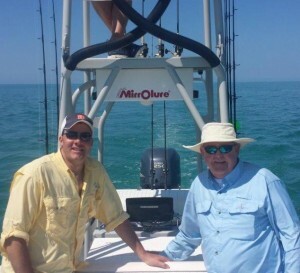 From children learning to cast a line, to competitive fishermen wrestling a 120-pound tarpon, to grandfathers spending the day with a line in the water, everyone can enjoy fishing in the waters of Charlotte County. Quick link: Visit the Florida Fish and Wildlife Conservation Commission’s fishing license page to obtain your fishing license online. The top three reasons people fish are for relaxation, to be close to nature and to spend time with friends and family. Nearly 50 million people fish in the United States each year. Top ten boat sale states also are the top 10 fishing states: FL, MI, TX, MN, CA, WI, LA, NC, NY and SC. Anglers outnumber golfers nearly two to one. Women make up about 33 percent of freshwater anglers. 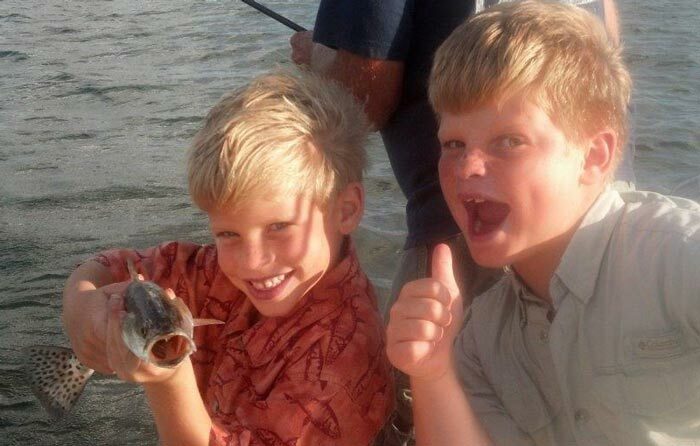 About 85 percent of freshwater anglers start fishing at age 12 or younger.